1. Do not carry emotions / patience to find the moment of exit from locking. 2. 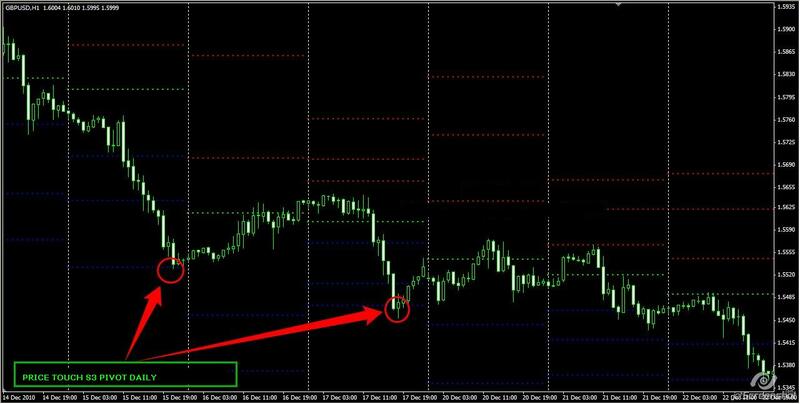 If the locking / hedging more than 50 pips, it takes up to several times the use of this technique. * Wait for the moment the price touches the S / R 3, where my experience watching my 2-year, if the price has touched the S / R 3 then the price will bounce 30-50 pips, before the market will decide to continue the trend or even a trend change. We take advantage of the moment. * Remove valuable hedging profit when the price touches the S / R 3. * If locking / hedging that occurred more than 50 pips, then you have to do a limit order 25-30 pips in the opposite direction with the Open Position of us who value minus (floating is still open). Hopefully this daily pivot indicator can be useful. – Within 1 month is usually the price touches the S / R 3 can occur as much as 2 to 5 times. – If the scatter useful way to friends and other fellow traders.